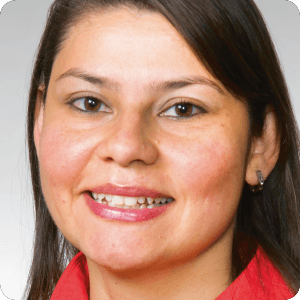 Paola Jaramillo is an application engineer at Mathworks in Eindhoven, the Netherlands. She specializes in signal and image processing, computer vision and deep learning. Her primary interests are sensor data analytics and embedded self-adaptive systems. She holds a master degree in electronic engineering from Politecnico di Torino in Italy, and carried out a 6-month internship at IBM in Switzerland, where she worked on a structural health monitoring system based on vibration sensing. For the following 5 years she worked as a researcher on signal processing systems at the Eindhoven University of Technology in the Netherlands, where she developed sensor-based smart systems to optimize energy consumption in office buildings.